https://www.ladolcevitacorolla.com/wp-content/uploads/2018/05/LaDolceVita-home-new-slide13.jpg 1000 1500 La Dolce Vita https://www.ladolcevitacorolla.com/wp-content/uploads/2018/02/LDV-NewLogo-Color200.png La Dolce Vita2018-09-15 16:55:192018-09-15 16:55:19Bye-bye Florence! 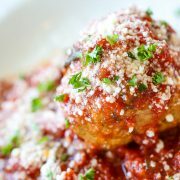 La Dolce Vita will be closed Wednesday 9/12-Sunday 9/16. We will keep you up to date, but as of now we are planning to reopen Monday 9/17. Stay safe! Ciao!